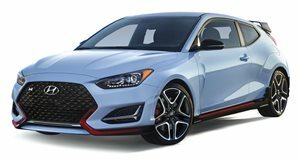 The first model in Hyundai's new N Line range of performance vehicles, the Veloster N comes packing a 2.0-liter turbocharged four-cylinder engine that sends up to 275 hp and 260 lb-ft of torque to the front wheels via a six-speed manual transmission. With special design features, both inside and out, to distinguish the car from the rest of the Veloster line, the Veloster N's chassis was built from scratch and boasts electronically-controlled suspension, track-tuned driving modes, and a set of bespoke Pirelli P-Zero tires. Pricing has yet to be announced, but Hyundai says it will start at less than $28,000. There’s something about paradox that strikes a chord in us all. It’s spit in the face of conformity, proof that success is possible even when bending the rules and letting the self be itself without shame. It’s why those of us who grew up with Lamborghini posters taped to our walls end up . They come into the world as inexpensive people carriers that represent compromise, mediocrity, and everything we can possibly hate about a car. And then they overcome their mundane natures with a handful of modifications that bring out the greatness baked into their chassis. It’s almost like those RS, Type R, and GTI badges possess the metallic bones of their donor cars and destroy any hint of boring that lives inside. Because it wanted to turn Ford, Honda, and Volkswagen's worlds upside down, that we were lucky enough to drive at Thunderhill Raceway Park. No matter how hard we thrashed it, there was no discernible way to beat the demons out of the Veloster N without sending it to a crusher. This is great news for Hyundai because even though the hot hatch segment is a niche one, the Veloster N is just the car the Korean automaker needs to get a leg up. You see, Hyundai has spent a little more than three decades trying to pry its way into the notoriously tight American auto market and the Veloster N is the latest step in that journey. It all started with Hyundai trying to make a name for itself as the go-to brand for those in need of a thrifty option. By the 2000s, it took things a step further by raising the quality of its cars and backing it up with killer warranty programs. 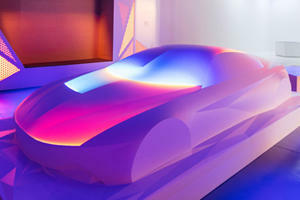 The next decade brought with it a push for high-end design, which we can see in the faces of the and Elantra. And now there’s N, a single letter that stands for “Namyang,” Hyundai’s R&D center in South Korea, and “Nurburgring.” The latter of those two names indicates that Hyundai’s new strategic move is to get our respect with high captivating performance products. The Veloster N is the first taste of N we get in America, and its spec sheet only tells half of the story. 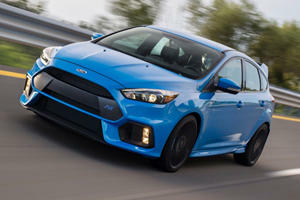 Listed on it is a turbocharged 2.0-liter four-cylinder engine that sends power to the front wheels through a six-speed manual transmission. The Veloster N violently overcomes inertia with 250 horsepower and 260 lb-ft of torque, although output can be pushed up to 275 horsepower if the Performance Package is installed. We showed up to Thunderhill Raceway Park in California and almost had that specs sheet ripped out of our hands by the windy wake of an angry Veloster N roaring towards Turn 1. 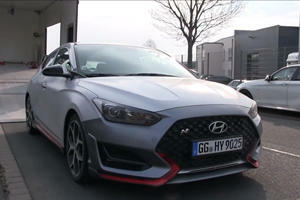 If there’s one thing to glean from a first encounter with a Veloster N in Sport mode, it’s that . The Veloster N is the real deal and you can tell by the fact the chassis was built from scratch, with Hyundai giving it extra reinforcement just in case professional racers want to strip it bare and add their own upgrades without overwhelming the frame. With a robust foundation in place, Hyundai proceeded by giving the Veloster N more variable hardware than many BMWs boast. Coming standard on all models is a suspension system that can alter how stiff it rides and an electric steering system that varies its weight depending on the selected drive mode. Opt for the Performance Package and Hyundai throws in a variable exhaust system, a limited-slip differential, larger brake rotors, and a special set of Pirelli P-Zero tires developed specifically for the Veloster N, which replace the standard set of Michelin Pilot Super Sports—all of that in addition to the extra 25 horsepower, of course. The result is not a car length short of fantastic. We started off on the race track at the insistence of Hyundai. Launching from the starting line and hitting 60 mph from standstill in 5.4 seconds, the turbocharged two-liter reveals itself to be the type of engine that openly encourages revving. Peak horsepower comes in at 6,000 rpm, and it’s a boon to anyone standing inside or nearby that Hyundai’s N team made the trip there a treat on the ears. The hiss of the engine’s single turbocharger accents the sound of rising revs while behind the wheel, slightly underwhelming sports seats fail to break a driver's focus while shift lights build in the peripherals. When the last light begins blinking, well, you know the procedure. Stab the clutch, enjoy a snarl and pop from the exhaust while slamming the shifter into the next gate, then clutch out and observe as the scenery starts to blur. As trust in Hyundai’s in-house performance brakes (no Brembos) builds one fade-free lap at a time, we began to brake closer to the corners, letting the sticky Pirellis hold all 104.3-inches of wheelbase tight against the track. With the limited-slip differential delegating power to the correct front wheel, optimal lap times come by milking the throttle through the corner and plowing into the pedal once understeer is out of the question. The steering wheel, weighted perfectly for the canyon slalom in Sport mode but feeling a tad light on the track, is direct but fails to communicate much about the torture being done to the tires up front. It’s a point that can be overlooked because much of the time, anyone looking at the Veloster N’s driver from the sidelines will think the seats are tickling them to tears. We saw journalists and ex race car drivers, no strangers to McLaren cornering speeds or Lamborghini launches, emerge from the cockpit giggling like they just did their first burnout. Not only is the Veloster N approachable, it makes all the right moves and noises to make a gearhead swoon. It’s part of the process: abuse the Veloster N as hard as possible so we can go home and type, “nice try Hyundai,” then become pleasantly surprised when a masochist comes out of the woodwork. Both on the track and on empty back roads, the Veloster N feels highly controllable at speeds that put a driver’s morals into question while remaining willing to play rough. Then, during a break of sanity, we had the idea to try out the Veloster N’s Normal and Eco driving modes. Slamming on the brakes once more to check if fade had set in and downshifting with automatic rev-matching forgiving a lack of heel-toe experience, the Veloster N quickly came down from speeds too high to mention just before a sheriff’s Explorer rounded the corner. Thanks to a press of the large and easy to reach drive mode button on the steering wheel, the Veloster N had already quieted its exhaust, relaxed its suspension, blunted throttle inputs, and lightened up the steering wheel so all the law saw was a responsible driver inside hatchback with a bodykit right out of The Fast and The Furious. Aside from the looks its juvenile bodykit gets, the Veloster N is perfectly capable of acting civil and being comfortable—this is where the half-hearted bolstering of the sports seats sees its advantage after all. No, the interior will not stun quality snobs with its cloth seats, cheap but rigid plastics, and Performance Blue seatbelts and accents. It will, however, give a driver who can do without luxury everything they need. An 8-inch touchscreen features Hyundai’s highly competent Apple CarPlay/Android Auto-infused infotainment system, albeit with an N Performance screen that has a G-Force meter and access to fluid temperature gauges built in. There are also a number of USB ports, satellite radio, and large, ergonomically friendly buttons to interact with. From there, there isn’t much to play with. There also isn’t much in the way of interior room or cargo space. Squeeze into the rear seat through the passenger’s-side rear door (no door for the rear driver’s-side passenger) and soon the Veloster N starts to feel like a coffin. Open the rear hatch to reveal a smidgeon of cargo space sunken beneath bumper level and you’ll really start to miss the roomy interior of the Ford Focus ST. One thing you won’t miss from the competition is the sticker shock. Starting at less than $28,000 for a base model and slotting at just under$30,000 when loaded with the Performance Package, the Veloster N carves itself out as the value proposition in the segment without diluting performance expectations one bit. Coming in at almost $5,000 less than the Honda Civic Type R, it’s clear that Hyundai has opened up the opportunity to upend the segment by putting pressure on the competition to get better and cheaper fast. As long as Hyundai doesn’t pull a Honda and to the point that dealers start gouging the price, we suspect the Veloster N will force the other hot hatch players to up their game. Doubtless, it will also put the N Performance name at the tip of every gearhead’s tongue, and cement Hyundai’s reputation as a brand that can deliver in every corner of the market at a price that belies belief. Can you ask for anything more than that?